In 2018, I’m noticing that more artists, DJs, producers, designers, etc. now understand that their business is their brand, and they want to build, and nurture that brand, and that’s awesome. It’s comforting to know that we are learning and more serious about our businesses than ever before. After working with various brands over the last 7 years, I’ve realized that sometimes in order to build your brand; it takes just a few simple steps. Below are some easy tasks that will build, and better your brand. Your brand name should be easy to discover on all platforms, especially social media. Your username should definitely be your brand, or artist name. You’ll get many more followers this way. Investing in promotional items such as pens, magnets, stickers, etc. is a great way to expand your brand. People notice, and those little things make you look official. – Invest in merchandise. It doesn’t have to be just t-shirts, you can get custom designed hats, hoodies, sweatpants, leggings, and even jewelry. The little things count, and you’d be surprised at how much more interest you’ll receive. Also, investing in merch doesn’t mean you have to break your pockets and get large quantities. Many companies (mostly online) will allow you to order a small quantity at a time. – Recruit family and friends to do small, 2-5 minute tasks, like post your latest release or promotion on their social media pages. Have them send out an email or two to their friends and associates. Every little bit helps. So when you can’t afford to hire people, grab your loved ones and put them to work! – Be active! The more active you are, whether it be physically, or digitally, the more your presence is made, and the more attention you get. Hop on your social media pages and send out a post or update a few times a day. Some say keeping your social media updated is a job in itself. Well, if you don’t have time to tend to it on a daily basis, they have wonderful programs like HootSuite and Sprout Social that handle all of that for you, just schedule what and when you want posted. Bonus Tip: BE AUTHENTIC. Copying, or imitating someone else will never help you cross that finish line. And trust me, you will get exposed eventually. Spare yourself the failure and embarrassment, and find your own identity/purpose. 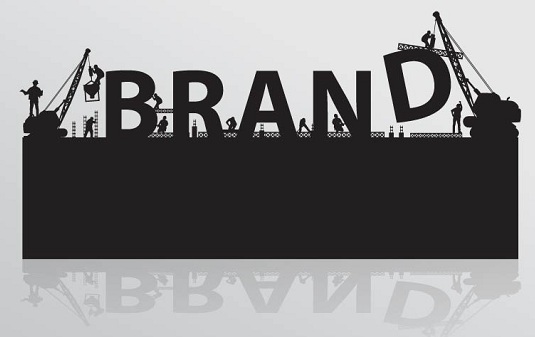 There are many more simple ways to build your brand, just do your research. As a brand, you HAVE to be multi-faceted. Educate yourself on what needs are to be met in order to take your brand to the next level, and reach success. I think this was informing .